We touch things every day and it is likely that we leave behind our unique signature (which is our fingerprints). Fingerprints play a crucial role in offering a personal identification. Since a person’s fingerprints are unique, relatively persistent and do not change throughout lifetime. To date, no two people ever been found to have the same fingerprints—including identical twins, with identical DNA, have different fingerprints. In addition, no single person has the same fingerprint on multiple fingers. This individuality allows fingerprints to be used in all sorts of ways including for missing person cases, legal claims, paternity testing, prenatal testing, mass disaster identification, and criminal situations. DNA Forensics Laboratory Pvt. 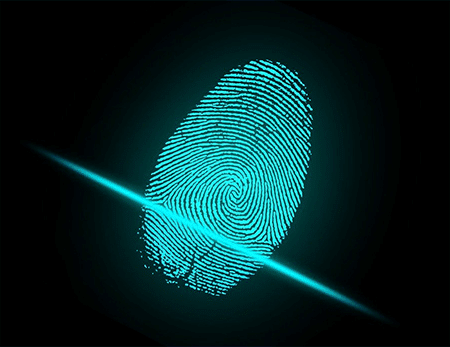 Ltd. excels in latent fingerprint development and have our gold standards services available for general public, commercial establishments, legal professionals, law enforcement and forensics. Identifying amnesia victims and unknown deceased. Track a criminal’s record, their previous arrests and convictions, aid in sentencing, probation and pending decisions. Match crime scene suspects with the database that already exists or with the alleged criminal. We use the ACE-V (analysis, comparison, evaluation and verification) method to reach a determination on each print. The concept is simple enough: Fingerprinting is an easy, affordable, reliable and painless method for the testing. It is less invasive then taking a blood sample. DNA Forensics Laboratory Pvt. Ltd. utilize the most advanced forms of fingerprinting testing and offer state-of-the-art procedures to clients with quick and accurate services. If you are looking for an affordable fingerprinting testing services call us at: +91 8010177771 or +91 9213177771. Our executives provide 24×7 customer services.